You are in the strange tower and there is the only one way to escape! But... there is some troubles. So, you must find the key, collect all stars and do not forget about the prisoner. 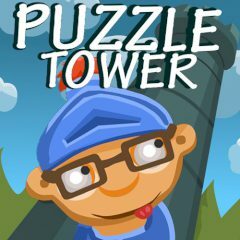 Use all tips and think logically in order to solve all these puzzles. In this game you will play as a real knight! Just try to collect all stars and avoid any obstacles on your way to the win. Use only the arrow keys and you must also save the prisoner. There is the only one way to escape. You must find the right way to escape and you will be saved! By the way the prisoner will move at the same time as you, so just try to do everything perfect and you will be the real winner of the game. Are you ready for that? So, go ahead and we will be proud of you! Do not waste your time and escape from here!